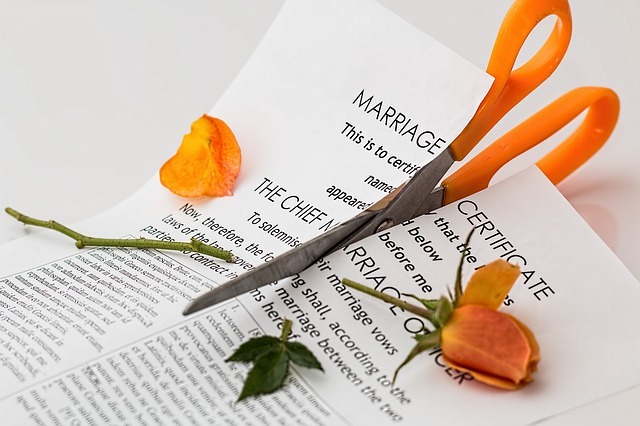 Divorce can be a painful experience, we hope this story will help you navigate through the process of divorce. We were together for 13 years. Some days it feels like I didn’t exist until the day we met. Other times it seems like it never happened. I thought we had a whole life to spend together. We navigated foreign countries and slept on straw mats while lizards crawled on the ceiling and the ocean heaved and moaned outside. We sat bleary-eyed in emergency rooms at ungodly hours, taking turns holding our sick and wailing infant who would not be comforted. We stood hand in hand at the newly dug graves of parents, weeping and silently holding each other. We talked quietly for hours on couches, emptying bottles of wine and telling of our childhoods, our fears, the little triumphs that made us carry on. But we also wove lies into the DNA of our relationship. Not maliciously, but childishly. Fearfully. We manipulated and tricked each other because we didn’t know the cost. We memorized each others scars and picked at them to to get what we wanted. We abused each others trust. We allowed our trust to be abused. We were only afraid of being alone. Of being wrong. I thought we had a whole life together, but it turns out it was only a couple of chapters. The realization that your marriage is over is so cumbersome, so all-consuming, that your brain can only process it in pieces. You drive past an apartment building and wonder what it would be like to live in a cozy studio there. You stand in the grocery store and imagine how your life would be different if you’d ended up with that woman who is taking forever to pick out a bottle of olive oil. You lie in bed at night so far off in your imagination that you forget that your wife is lying asleep next you. You realize you’re living your life as though she isn’t even there. You don’t yet know that your marriage is over. These thoughts don’t fully register. They float in and out like small pieces of trash in between chunkier, more graspable thoughts like we need more eggs or I should call someone about the sound the dryer is making. So when the end finally materializes, it is like finally coming face to face with a horrifying and yet entirely predictable demon. It was in the house the whole time. And once it is freed, it attacks your body in slow motion, the grief of it devouring you seemingly cell by aching cell. You develop impossible obsessions. Two weeks after my wife left, I was driving our kids to an amusement park and George Jones’s She Thinks I Still Care came on during an NPR interview. I became fixated on learning the chords and playing the song. For six months, I played it compulsively. I sang it in the shower, I serenaded my kids to sleep with it, and woe unto anyone who happened to be in the same room with me and a piano; they’d be treated to the most morose and self-pitying rendition in the history of mankind. You feel like a failure. 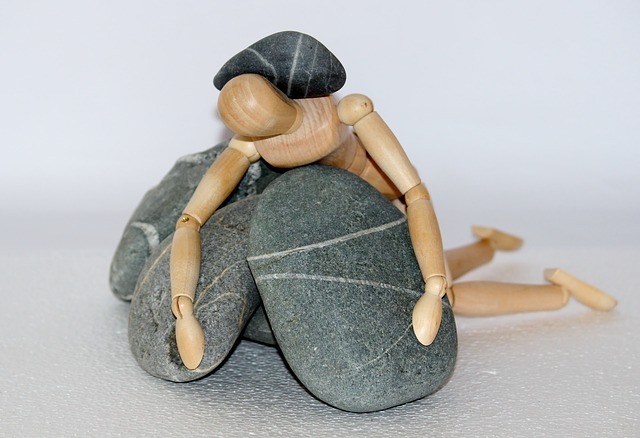 You can take struggling at your job, health problems, money challenges. These are all things that you feel you can survive as long as you don’t have to do them alone. But losing your marriage leaves you feeling like you are without purpose, like you have permanently and irrevocably failed at the single most important thing in your life. You sit comatose in front of your television until the sun sets, only to lie awake at night listening until the silence hurts your ears. You cry until you dry heave. And after that comes the emptiness, both outside and in, that makes you feel how lonely you truly are. For the first year or so, you keep the relationship going. Not willing to admit it’s truly over, the both of you keep playing the game. You push her buttons, she pushes yours. Your intimate knowledge of one another, the secrets you once whispered in close moments, are now weaponized. You remember years ago, when the two of you were barely in your twenties, you saw a couple fighting on the street. You said: Why is it so hard for people to let go? And she said: Because you can never let someone walk away with all your secrets. Hearing her say that, you fell in love all over again; her intelligence, her emotional courage, her understanding of what makes our hearts work. Over a decade later, you hate her for those things and how she uses them against you. You hate yourself for how you use them against her. The reason it is so difficult to have a healthy relationship with the person you’ve divorced is because no matter how well you learn to get along, no matter how thorough and exhaustive the amends that are made, it is impossible to completely forgive someone who has meant this much pain. It is simply too much. It is impossible to completely forgive someone whom you once loved so deeply. It has been six years since our marriage ended. The pain has not been healed. It has been dulled to the point where it no longer keeps me up at night. We have two children, a teenager and a pre-teen whose lives and struggles and needs are such that the two of us must talk and strategize together every day. We function well. We don’t fight. We don’t say terrible things to our kids about one another. We have dinners and brunches together. We don’t hate each other. But it is not easy. The cost of this peace and relative civility is this: you have to admit that you have lost. You have to admit that what the two of you tried to do is over. And that it can never be resurrected. You must concede that you will never get what you want from the other person, and you must stop punishing them for that. You must accept the distance that now exists between the two of you. They no longer belong to you. Your marriage no longer belongs to you. You must forgive them for being the person that they are. You must forgive yourself. The two of you were young. You tried to make a love. You didn’t know how. It could have been different. But it was not. Your very best wasn’t good enough. To survive divorce, you must find acceptance for this. Even if you can’t ever find forgiveness. This article was added on Friday, November 4th, 2016 at 4:51 pm and is categorised under Divorce. Both comments and pings are currently closed. Error: Error validating access token: Session has expired on Saturday, 09-Mar-19 13:12:58 PST. The current time is Wednesday, 24-Apr-19 20:04:52 PDT.